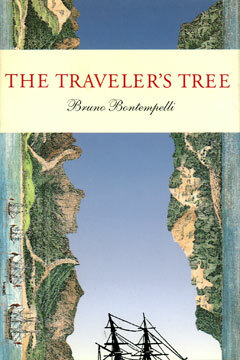 Bruno Bontempelli’s The Traveler’s Tree is a spellbinding and most unusual tale of desperation and suspense, which takes place in the eighteenth-century maritime setting Patrick O’Brian made so familiar to American readers. A modern fable reminiscent of Camus’s classic The Plague, The Traveler’s Tree is at its core an exploration of man’s nature. Somewhere in the Caribbean Sea the French ship Entremetteuse lies stranded without a breeze, its crew racked by starvation and disease, its wood rotting, and its masts limp. An island and the dim outline of the fabled traveler’s tree appear on the horizon. Although only a gunshot away, the island’s sheer cliffs and coral reefs make it cruelly unreachable. The heat grows unbearable, the ship’s stores are nearly depleted, and the rats eagerly await the remains. As listless as the ship and increasingly feeble with scurvy, the embattled crew dispatches one longboat after another against raging waves, barrier reefs, and poisonous fish in order to reach the island, but to no avail. As mutiny, rebellion, and utter starvation loom, they pin their last hopes on a direct charge of the ship across the reefs, in one last valiant effort to reach the traveler’s tree. Hailed in France as “a superb allegory” (Le Monde), The Traveler’s Tree is an enthralling novel that tells a story of the human condition and man’s limitations. Writing with extraordinary realism and historical accuracy, Bruno Bontempelli lures us into this absorbing morality tale that will be remembered for years to come.